Actor Luke Perry, who rose to fame as a heartthrob in the hit 1990s television series “Beverly Hills, 90210,” died on Monday at the age of 52 after suffering a massive stroke, his agent said. Perry, who was hospitalised in the Los Angeles area last week, died surrounded by his children Jack and Sophie, his fiancee and ex-wife, his parents, siblings and other close family and friends, his agent Arnold Robinson told AFP. Perry had been in Los Angeles working on the television series “Riverdale,” an adaptation of the Archie comic books in which he plays Archie’s father Fred Andrews, when he suffered the stroke last Wednesday. He was hospitalized the same day Fox announced it was rebooting “90210,” featuring six of the original stars including Jason Priestley, Jennie Garth and Tori Spelling — though there was no confirmation Perry, who played Dylan McKay on the long-running show, would be part of the reboot. News of Perry’s hospitalization had triggered an outpouring of support from celebrities including his former co-stars on the long-running teen drama. “My friend. Holding you tight and giving you my strength. You got this,” Shannen Doherty, who played Brenda Walsh in the series that ran from 1990 to 2000, said on Instagram. In her post, Doherty shared an old cast photo of the two actors locked in an embrace — their characters were one of the show’s supercouples. 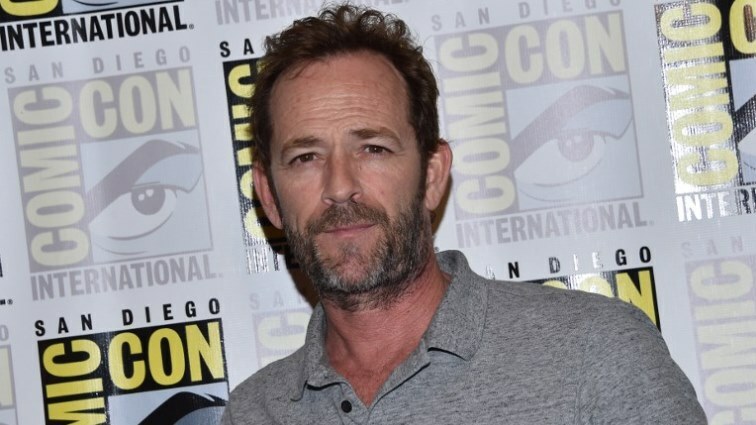 The post Luke Perry, star of ‘Beverly Hills, 90210’ dead at 52 appeared first on SABC News – Breaking news, special reports, world, business, sport coverage of all South African current events. Africa's news leader..